Our Drop-in Event PoolArt™ comes in a variety of shapes and sizes in order to better serve your specific design needs. Simply select the desired custom PoolMat™ shape and size to get started. Please feel free to call us with any questions or concerns at 321-914-0492 as we would love to help you design a custom swimming PoolArt™ masterpiece that is sure to amaze. Rectangle = 54 lb. Square =54 lb. Call 321-914-0492 for more information. Any custom product requires a 50% non refundable deposit to start the custom manufacturing process and the balance is to be paid at the time of delivery. 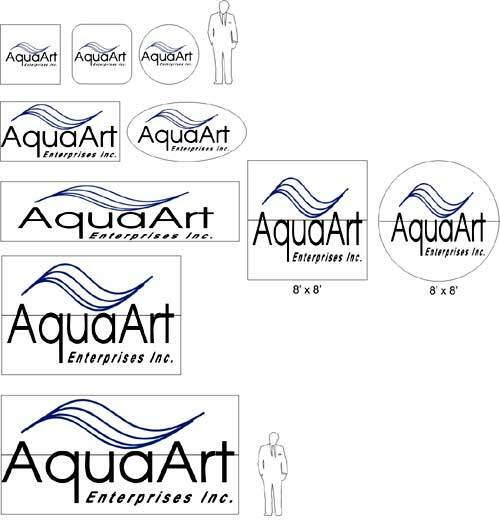 AquaArt Enterprises offers a 30-day money back guarantee. Try our products, worry free. If you are unsatisfied you can return the product for a refund within 30 days from the date of purchase. Sorry, but the 30 day warranty does not apply to any custom pool mat products.